The stability of a power system refers to the ability of a system to return to its steady state when subjected to a disturbance. The dynamic stability had experienced to poorly damped low frequency oscillation (LFO) after disturb by a small disturbance. This disturbance makes an entire of a power system become unstable and takes a longer time to become a steady state, thus a stabilizer is needed to stabilize the power system. 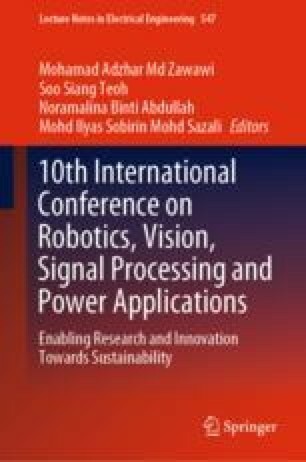 In this research, an optimum gains from Riccati equation are represent as a stabilizer combined with power system model to become power system stabilizer (PSS). Continuos-time algebraic Riccati equation (CARE) in the tool function of MATLAB is used due to fast and efficient to get an optimum gains. The performance of PSS to stabilize the power system is compared to another tool in the MATLAB software known as an artificial neural network (ANN). ANN is selected due to the ability to get data samples rather than the entire data sets to arrive at solutions, fast and though approximate but acceptable solutions in real time. This research deals with the development of ANN systems which provide solutions to stabilize the power system based on PSS performance. The step response from simulation results are presented to show the effectiveness and robustness of the designed ANN system to get the same performance as PSS with minimal steps in order to stabilize the oscillation damping of the power system.